This is why I wanted to share some of my very favourite and best things to do in Rotterdam on your next trip. 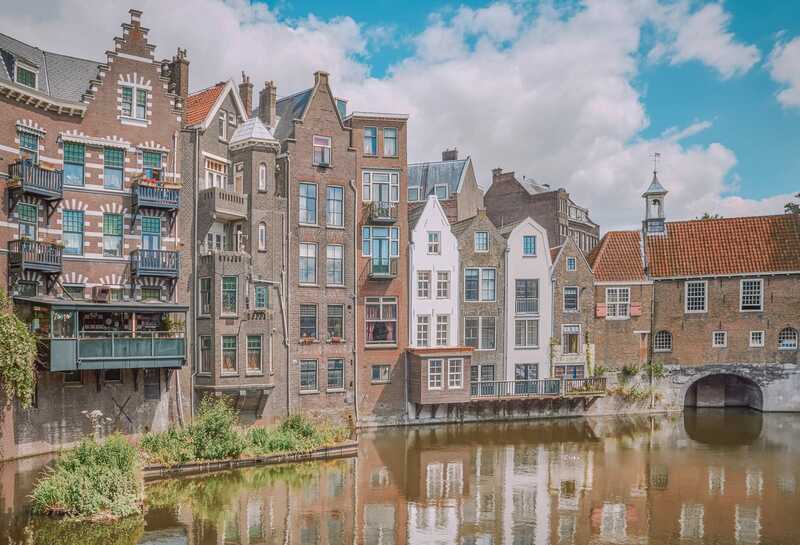 It’s one of those surprising cities that often gets overlooked for its bigger sister, Amsterdam but really is a vibrant city to visit in its own right. 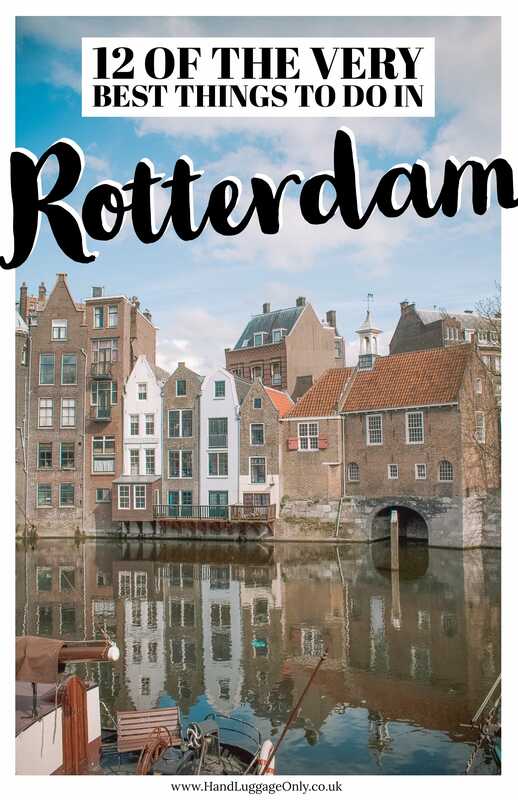 That’s the thing about Rotterdam, it has such a mix of gorgeous museums, historic cobbled streets and some slick new areas that are pretty cool. Plus, it has oodles of that Dutch charm and friendliness (which I always love about the Netherlands). 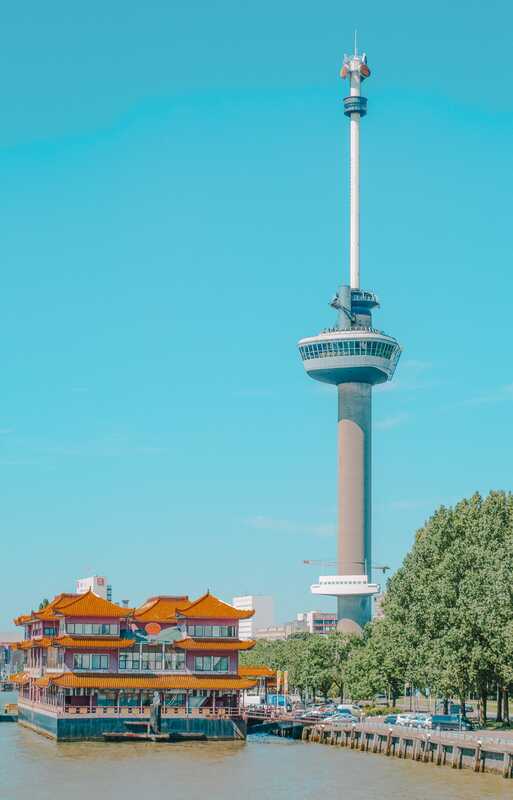 For some stunning views over Rotterdam (and beyond), head to the very top of the Euromast Tower. It really is one of the best things to do in Rotterdam if you’re looking for views across the city. Standing about 185 metres (give or take a few centimetres), this is the tallest building in Rotterdam and easily recognisable. 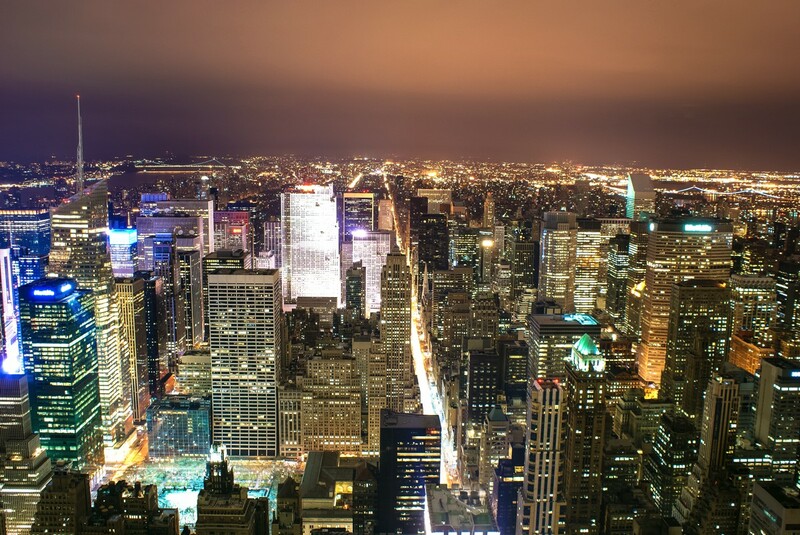 Once you get to the top, you’ll be able to scan the horizon whilst learning a little more about the city and its history. Just make sure to wrap up warm, it can get really chilly at the top. If your feeling peckish, head to the restaurant up there or even stay in one of the Euromast Tower’s fancy suits (they have around 2). 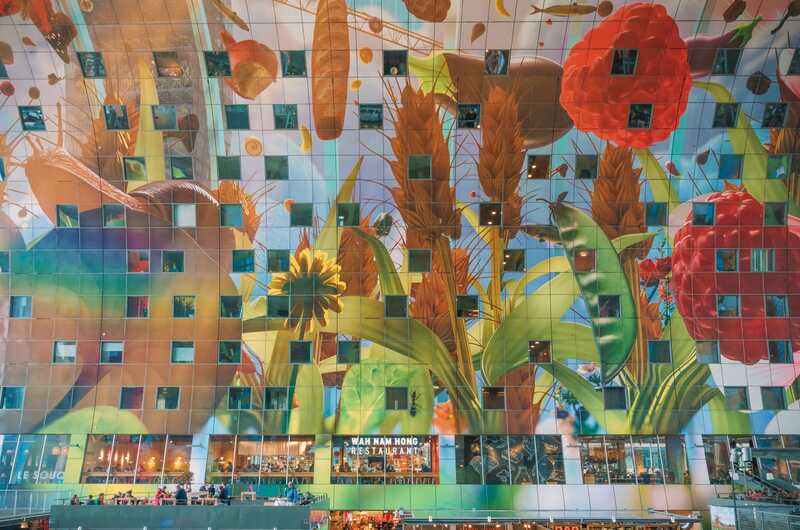 Although a fairly new addition to Rotterdam, the Markthal is (in my opinion) one of the best things to do in Rotterdam if you love iconic buildings and lots of food. Once you step inside, you’ll notice well over a 100 stalls, cool bars and lots of foodie joints where you can fill up. It’s one of the best places in the city for lunch! Now, obviously being in such an iconic building, the Markthal isn’t just about the food, make sure to look around the whole structure, too. It really is impressive. 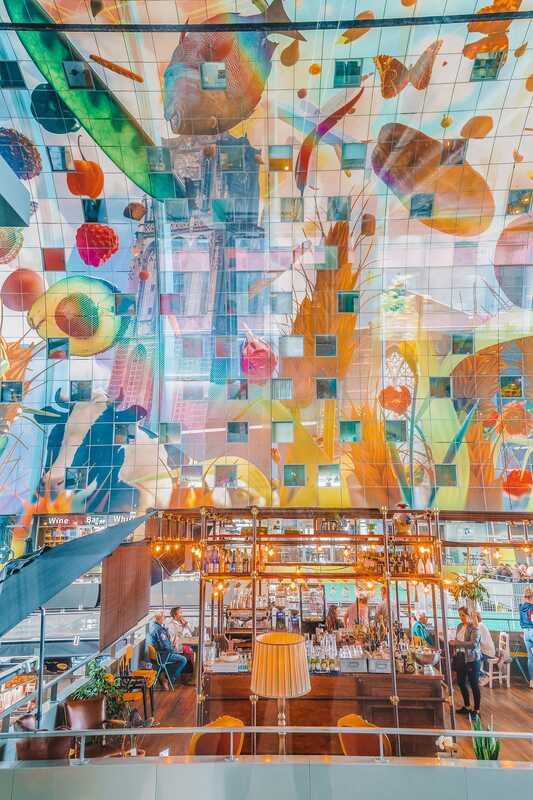 The ceiling, for instance, has the biggest artwork in the Netherlands called the “Horn of Plenty”, which you can’t miss. 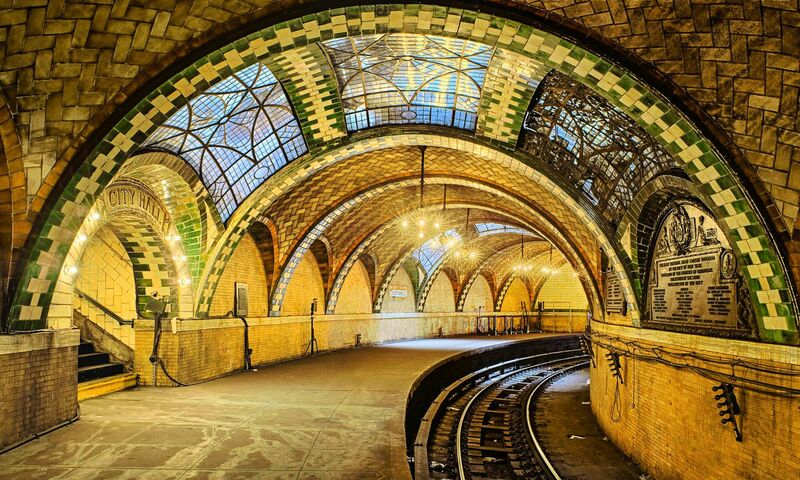 It’s a five-layered artwork that will honestly mesmerise you. Every European city has its share of fascinating museums but the ones in Rotterdam are totally amazing. 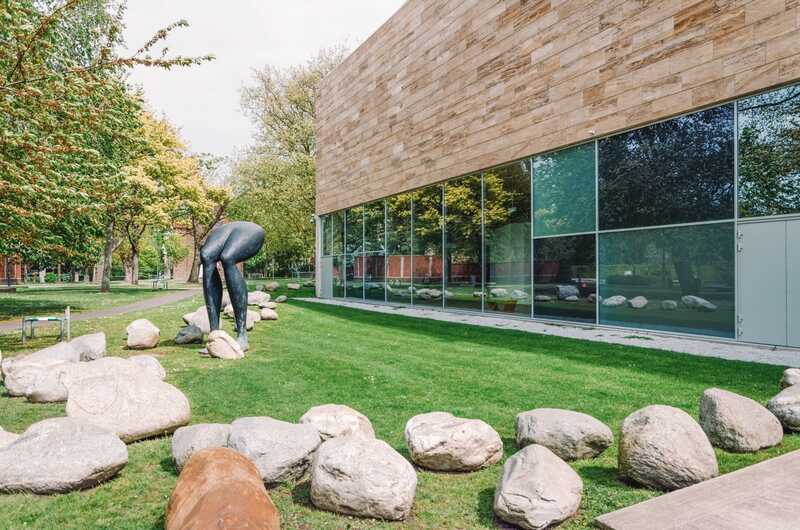 Pop over to the Museumpark where you can choose between or visit all six of the museums which include Het Nieuwe Instituut, Museumwoning Sonneveld, Chabot museum, Natuurhistorisch Museum, Museum Bojimans van Beuningen, and Kunsthal. Get the Museumpark ticket for around €30 which will allow you to visit five museums in the park (excluding Het Nieuwe Instituut). It’s one of the best things to do in Rotterdam if you love museums and is a perfect place to spend a morning if the weather takes a turn for the worst. 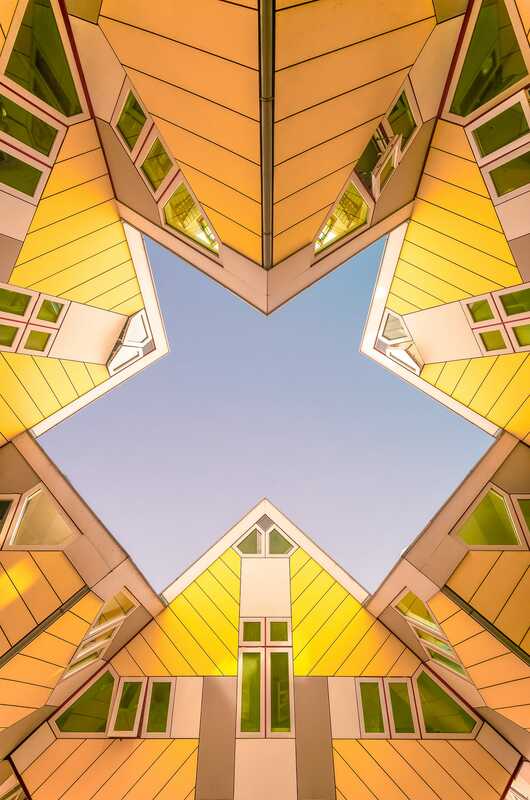 Okay, so the Cube Houses (Kijk-Kubus) of Rotterdam are probably some of the most famous in all the city. Envisioned and conceptualized by Piet Blom, they are totally unique and unlike nothing else in the country. Tilted at a 45-degree angle, the cubes are totally abstract and really cool spaces that you have to see. 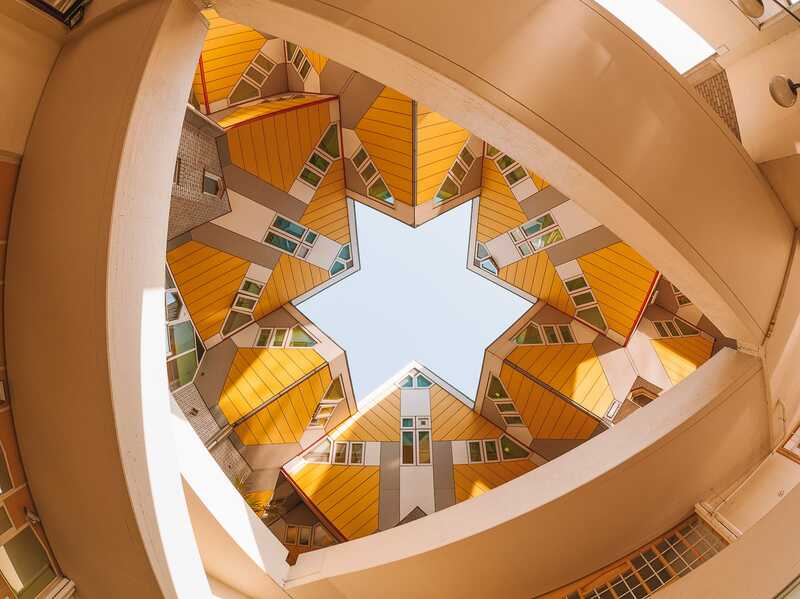 To see what it looks like on the inside, you can visit the “Kijk-Kubus” or the Show Cube which is a furnished house that is open to visitors. It’s only a few Euro. Alternatively, you could just stay in a cube house through Airbnb. What a place to call home! For a little maritime adventure, head over to the Old Harbor (Oude Haven). After all that gorging, head over to the Maritime Museum Rotterdam, too. It’s the perfect place to better understand the history of this area, the city’s waterways and its connection to the sea. Also check out the Harbor Museum, which is an open-air home to the 19th-century Buffel ship. 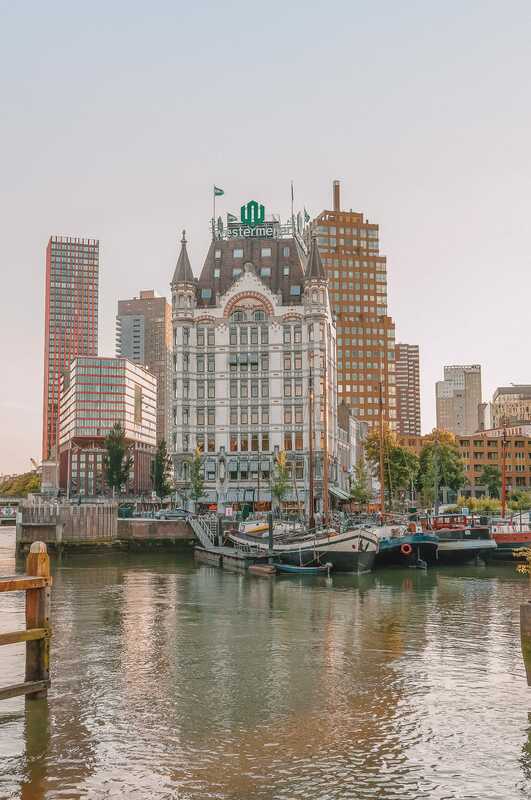 It’s one of the best things to do in Rotterdam if you love checking out the history of a place. That being said, you may wanna give it a miss if you’re not into a big ole history lesson. Plus, no maritime adventure in Rotterdam is complete without visiting the SS Rotterdam, too! I mean, windmills are synonymous with anything Dutch, let’s be totally honest! Thankfully, around 20 km east of Rotterdam is the tiny (and totally charming) village of Kinderdjik. 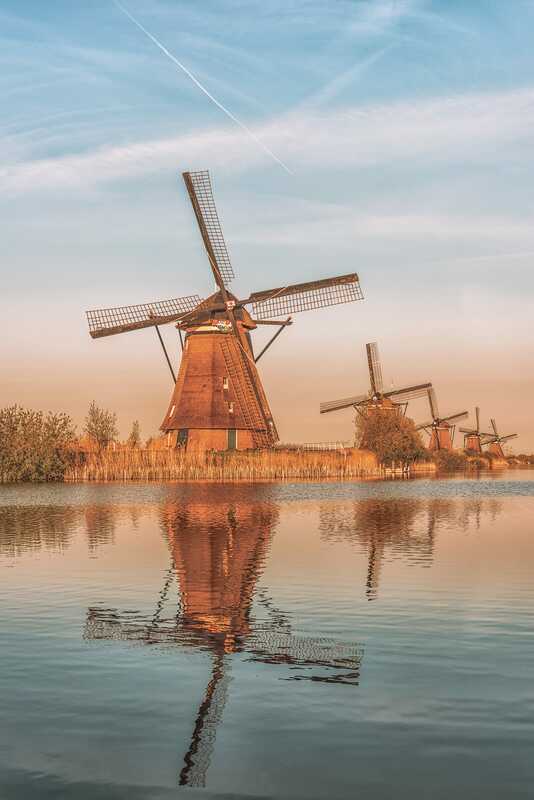 With some gorgeous canals, lined by 19 impressive windmills (that are UNESCO World Heritage Sites), this is a sight you’ll certainly wanna see. It’s a great trip to do if you want to take a break from city life and really chill out in the Dutch countryside. Look, there’s no hiding that any holiday to Rotterdam should include a few indulgent spots to eat and drink. 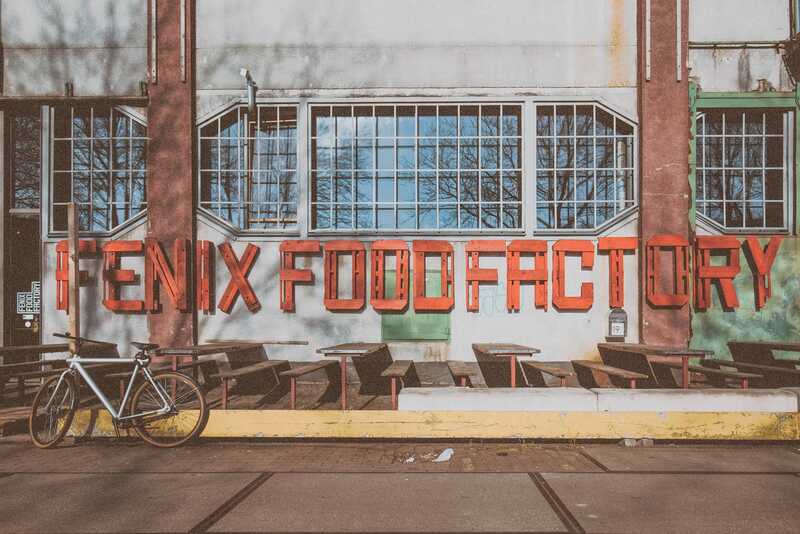 For me, Fenix Food Factory is that place. 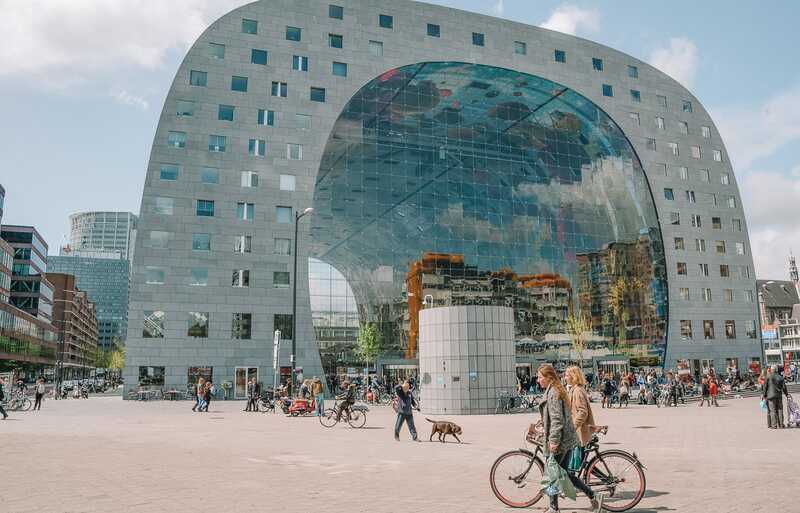 Filled with stalls serving everything from local cheese boards, BBQ and cakes, it’s one of the best things to do in Rotterdam if you’re feeling peckish. 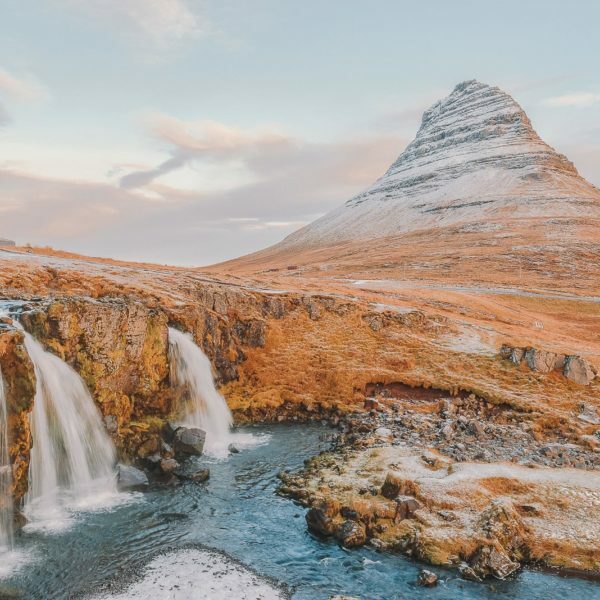 Once you’re here, check out the Kaapse Brouwers micro-brewery, cheese from Booij Kaasmakers, meat from the Firma Bijten, and the best cakes from Jordy’s Bakery. Yes, you will be stuffed but it’s totally worth it. 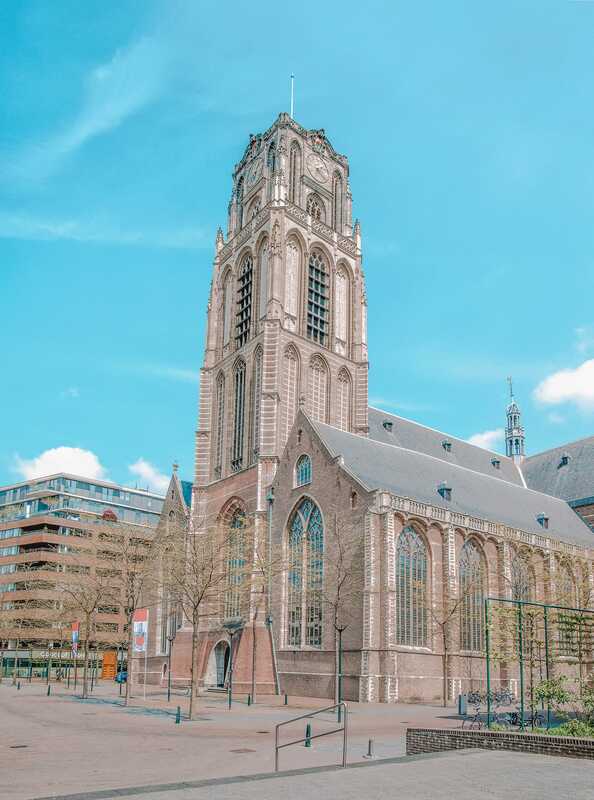 The Grote of Sint-Laurenskerk is considered to be one of the only standing medieval building in all of Rotterdam and a place not to miss. Built between 1149 and 1525, the church is incredible to wander around. With its bronze doors, beautiful interiors and stained glass, it’s one of the best things to do in Rotterdam if you love history. Don’t forget to spot some of it’s most famous residents too… the three huge organs! Spanning the Nieuwe Maas of the Rhine, this is the second largest bridge in the Netherlands and a place to see if you’re really into architecture. I was told that most people call it ‘the swan’ because of its huge upright mast (like the neck of a swan) but I’m still not sure if that’s true. Unlike much of Rotterdam, the district of Delfshaven actually survived the destruction by World War II. This all means that it almost feels like you’ve stepped back in time to an older version of Rotterdam that’s so different from the shiny new areas. It’s a pretty easy tram ride to visit Delfshaven (from any part of the city) and the city feels really easy to navigate so you’ll easily find it. 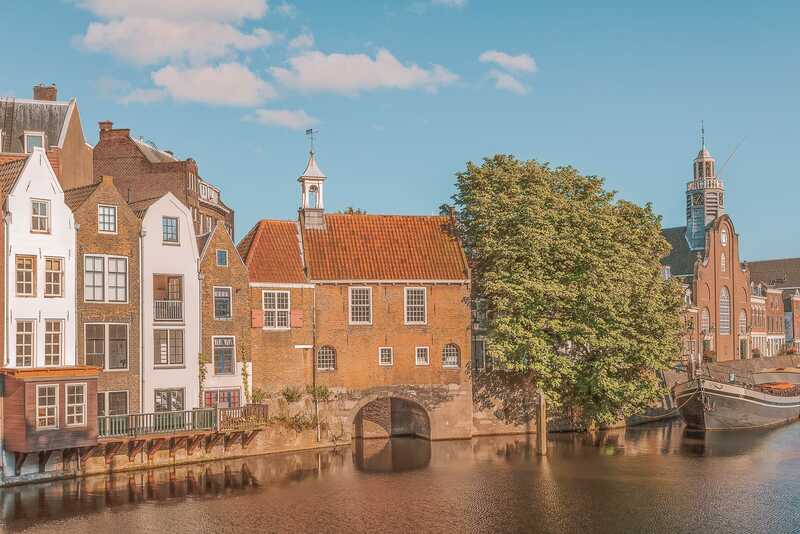 After strolling the neighbourhood, make sure to visit the Old Church in Delfshaven. This was the point where pilgrims held the last service before sailing for the New World across the Atlantic. The whole area feels like a mini-Amsterdam, and for me, is easily one of the best things to do in Rotterdam. Just make sure to take some comfy shoes, you’ll be walking a lot. 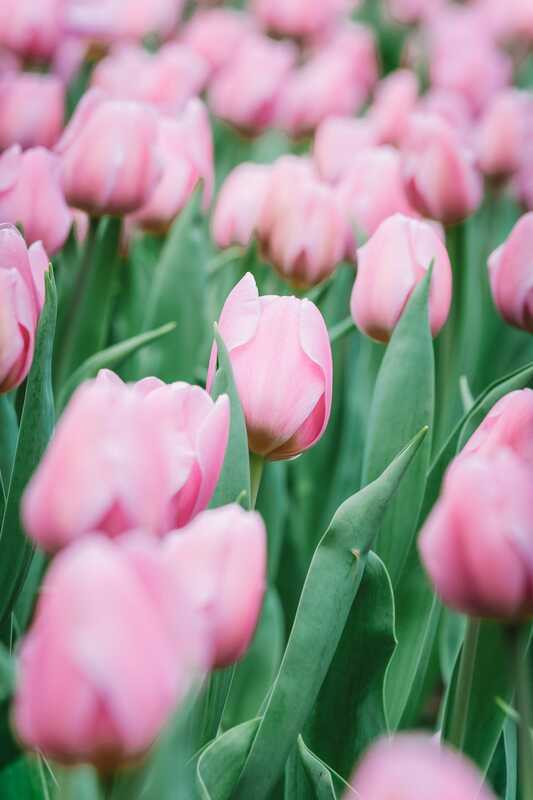 This beautiful botanical garden is a green oasis amidst the city of Rotterdam. It’s a great place for a lazy stroll, a yummy picnic, or just to get away from the hustle and bustle (which I love to do). You can join one of the guided walking tours to learn more about the garden if you want, but I totally think you should just wander at your own pace. People seem to either love or hate Witte de Withstraat (a street in the centre of Rotterdam). In lots of ways, Witte de Withstraat is a little like a mini-Shoreditch (in London) or Williamsburg (in NYC), if that makes sense? It kinda has a hipster vibe and totally cool little cafes, bars and a few night spots too. That being said, I’ve heard people describe it as a bit ‘try too hard’ now and no longer has the same vibe it once had. Whatever the case, it’s worthwhile you making up your own mind and seeing it for yourself.